Today, Twitch announced today that four high profile gaming personalities will produce regular video content for the platform, as part of a multi-year deal. 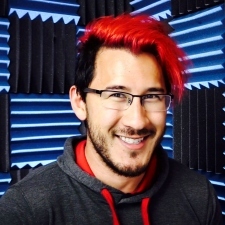 Jacksepticeye, Markiplier, LuzuGames and Strawburry17 are part of the Disney Digital Network, as part of Disney’s absorption of multichannel network Maker Studio. The creators will be creating Twitch-exclusive pre-recorded videos in a very similar vein to YouTube content, as well as regularly streaming from the platform. Most of the new and exclusive content will debut on Twitch beginning Thursday. It is worth noting that none of the content creators are prohibited from creating content for their existing YouTube channels under this new agreement. Twitch has also unveiled Video Producer, a set of tools that will allow creators to edit and upload videos, as well as tweak saved livestream vods. The platform also announced Premieres and Reruns as part of the update. The Premieres feature lets creators schedule a first-viewing event around an uploaded video, similar to the launch of a movie. Reruns will let streamers schedule a re-showing of a video for people who are unable to watch the streams live. The Video Producer tools are expected to go live on Twitch today, along with exclusive content made by one of the four aformentioned creators.